Canadian Soccer Association president Victor Montagliani confirmed to CBC Sports that the CSA has had discussions with FIFA about hosting the Men's World Cup in 2026. It has been less than a 100 days since Victor Montagliani was elected president of the Canadian Soccer Association, on a campaign of culture change and promising to take Canadian soccer to the next level, and already he has the CSA aiming high. On the phone from British Columbia, Montagliani confirmed to CBC Sports that the CSA has had discussions with FIFA about hosting a Men's World Cup. And while the next bidding process will not start for a couple of years still, Montagliani and the CSA are clearly already laying the groundwork to bring the world's largest sporting event to Canada. "It's not only a possibility; it's something we intend to do," Montagliani said. "We have verbally told FIFA that when the bid process begins for the next available World Cup, which would be the 2026 World Cup, that the CSA will be one of the countries putting in a formal proposal. "The FIFA president has acknowledged to us and others that it needs to come back into this hemisphere, to our region CONCACAF. So that's what we will work towards." That might seem like a long way off, but in the world of hosting major sporting events - some of which can take over a decade to plan - starting to prepare now is the prudent approach. "Obviously we need to get a lot of ducks in a row, starting with our friends at 24 Sussex Street," Montagliani said. "The Men's World Cup is the biggest event in the world, much bigger than the summer Olympics, and I think we can show them that. And, actually, I think our government already knows that. But to pull off an event of this magnitude, we need commitment from all levels." In 2007, the CSA got commitment from all three levels of government across Canada - municipalities, provinces and the national government all gave funding to the CSA to host the FIFA U-20 World Cup. By FIFA and local standards it was a massive success, with 1.2 million tickets sold at venues across Canada. It remains the most attended FIFA U-20 tournament to date. In 2015, the CSA will once again get the opportunity to showcase the passion for the game that exists in this country when it hosts the Women's World Cup. The timing of which couldn't be more perfect. If the U-20 success is duplicated there, Montagliani said it will make a strong case for hosting the Men's game. "If you look at where we want to get to, not only on the international stage, but where the game stands in our country, in our culture, that's our number one priority. We will have shown that we are capable of not only attracting big attendances but running a safe and secure event at the highest levels of FIFA's tournaments," Montagliani said. In the meantime, that's where Montagliani and the CSA find themselves - trying to reinforce a growing demand for a national team product that has struggled over the years. "There is absolutely no reason that we shouldn't be selling out World Cup qualifiers for our national team," he said. "And I don't buy that it's the CSA's fault for not marketing it correctly. If you are a fan of the game in Canada you should be out supporting your country when they play. Full stop. We've seen good growth in Toronto but it can still be better. "But it's about changing the culture at all levels - from the grassroots on up to the media - ensuring that consumers have a connection to it. And that the media understand the scope and depth of our game too. So, that they can properly convey the issues to their readers and listeners and make educated consumers out of the sporting populace here in Canada." Ben Rycroft Ben Rycroft covers the world's game from a Canadian perspective. 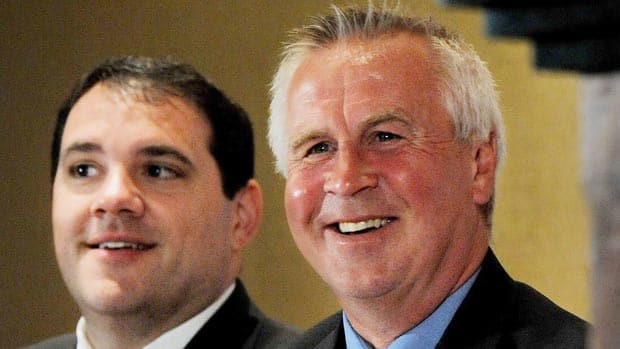 An authority on the Red and White, he is the founder of Canadian Soccer News, the host of the popular podcast It's Called Football and a regular on soccer shows across the country. When he's not covering the beautiful game, he can be found singing in the stands, hacking legs on the pitch or cooking up BBQ at the post game pub.